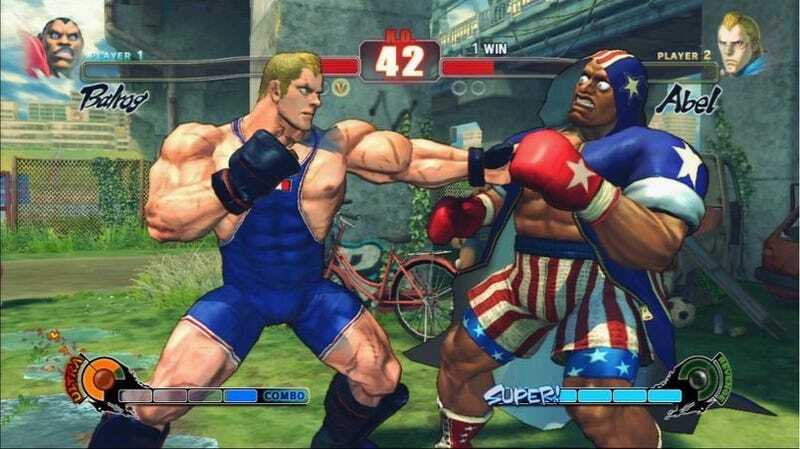 Capcom's plans for Street Fighter IV downloadable content are expansive... get it? They include a free Championship Mode expansion pack as well as alternate costume packs which will sell for $4 a pop. The Championship Mode Expansion Pack, which Capcom says will be out "post launch", will include a replay mode, two new points systems and an enhanced tournament matching system. • Replay Mode – Record, upload, and download top matches to share with the Street Fighter IV community. Players can analyze top tiered fighters matches, leave voter feedback for others, and share their own triumphant victories. • Enhanced Tournament Matching System - Skill level matching system offers improved tournament match making for beginners and mid-level players. Competitors earn Grade Points (GP) to earn entry into more advanced tournaments. The five alternate costume packs will be sold by theme for 320 Microsoft Points on the 360 or $4 on the Playstation 3 and will be released over the course of a month. • 2/17 – Brawler Pack DLC Pack will include alternate costumes for: Zangeif, E.Honda, Rufus, El Furete, and Abel. • 2/24 – Femme Fatale Pack will include alternate costumes for: Chun-Li, Cammy, Sakura, Rose, and C.Viper. • 3/3/09 – Shoruken Pack will include alternate costumes for: Ryu, Ken, Akuma, Gouken, and Dan. • 3/10/09 – Shadowloo Pack will include alternate costumes for: Seth, M.Bison, Sagat, Balrog, and Vega. • 3/17/09 – Classic Pack will include alternate costumes for: Guile, Dhalsim, Fei-Long, Blanka, and Gen.